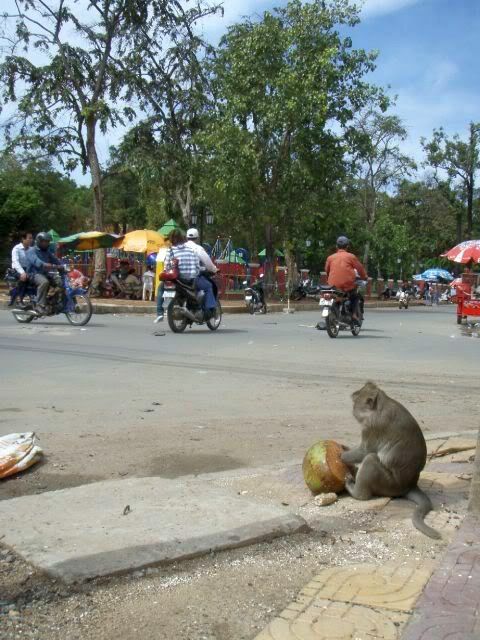 Monkey on a street corner in Phnom Penh, Cambodia. 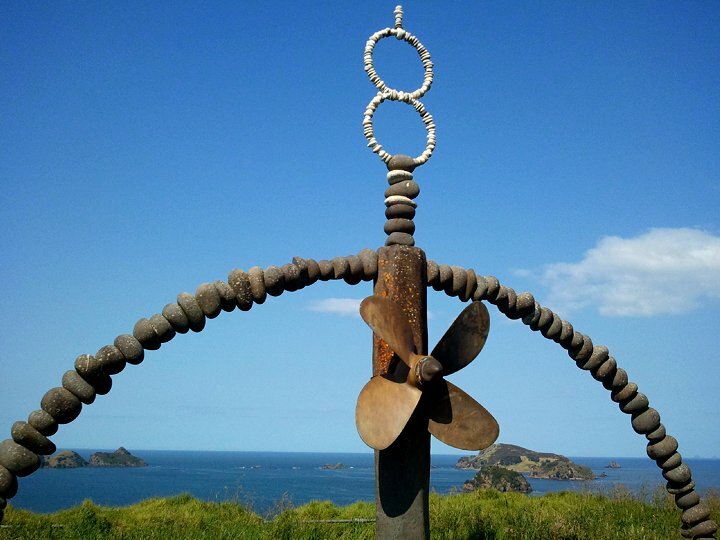 Monument to the Rainbow Warrior, a Greenpeace ship sunk by French agents in a New Zealand harbor in 1990. 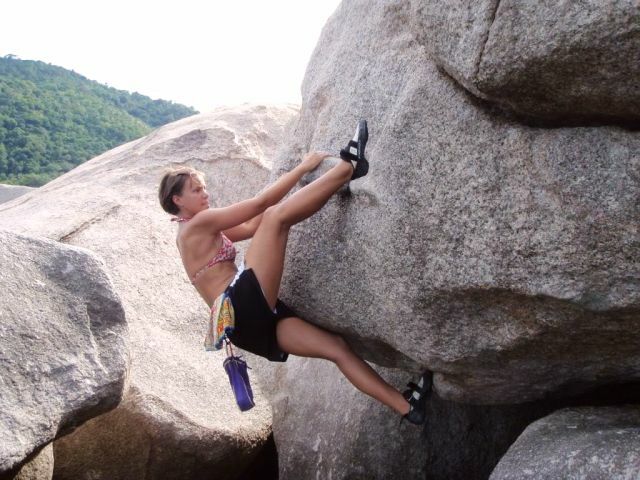 Whitney getting in some bouldering exercise on Koh Tao, Thailand. 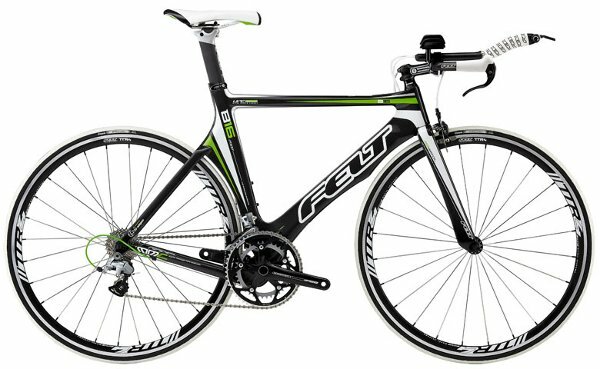 I met this baby at Machinery Row Bicycles. We've been writing love letters back and forth ever since. It could be getting really serious. Well, I was gonna write all about the rest of Laos and Cambodia but I've fallen dreadfully behind so let's take up from our reentry into Thailand. This time through Thailand began with a 24 hour trip from Siem Reap, in Cambodia, all the way to Krabi, with a brief stopover in Bangkok long enough to arrange the next leg. Krabi is well known for its world class climbing. 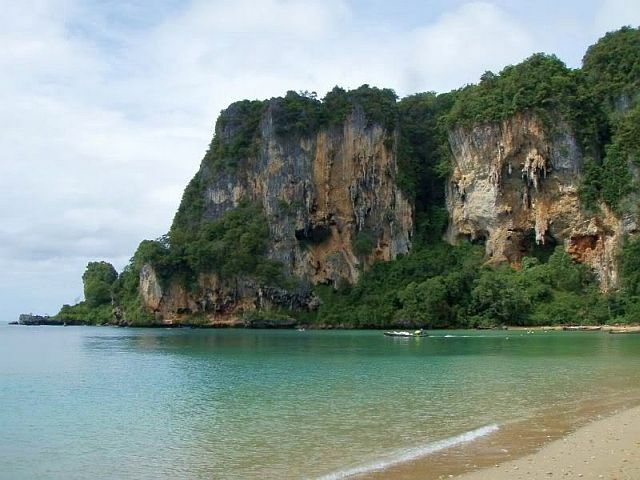 The small beaches in Krabi are isolated from the mainland by towering Limestone cliffs. The main beaches are Aow Nang, the busy primary stop accessible from the mainland, Railey East and Railey West, two beaches on the peninsula and accessible by boat, and Ton Sai, a tiny cove that can be accessed by boat or from Railey at low tide. Aow Nang is used as a jumping off point for the islands in the area or to catch boats to the other beaches. 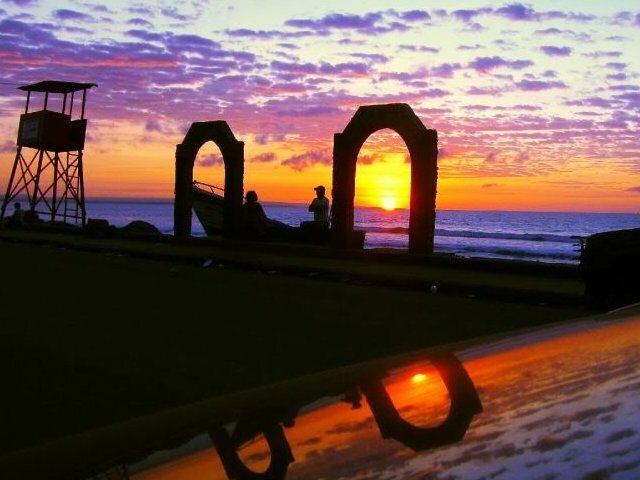 Railey's beaches have excellent climbing but are dominated by expensive family resorts and the families that go with them. Ton Sai is wonderfully removed from the resort beaches and far cheaper. The result: Ton Sai abounds with rock climbers from around the world; it is to rock climbing what Koh Tao is to diving. The first day we were able to rent gear and enjoy some of Krabi's epic climbing at Ton Sai, a short walk from our bungalow. By the end of the day we could feel the effects through our unconditioned arms and opted to make the next day a day of rest. Old problems rise again. What is it this time? It's the beloved old challenge of taking in all the beauty, adventure, and fun that life offers, and turning it back out in written form in order to share it with all of you. Often, the silence that transpires on this page is a good sign - an indication that my days are filled with life and the living of it. So I must apologize for the brevity of the following posts, but I can no longer stay hung up on trying to write of my adventures in detail. I will instead simply have to catch you up with a few smatterings of thought and rely on photos to do most of the talking. So let's rewind to 5 weeks ago, when I embarked on a 9-day stint in Argentina with the USFQ fútbol team. One tournament, 13 girls, 8 games. The tournament was in the city of Córdoba, and as this was not a sight-seeing trip, this was essentially the extent of what I saw of Argentina. But I can tell you that this was all I needed to know that I will someday return to Argentina to get to know it properly. There was something about the land, the people, the life... something that planted a seed in my heart that makes me want to know this country enough to be able to say "I love Argentina!"